Two months ago, I asked for any brilliant ideas and/or opinions about how we should renovate the full bathroom off our kitchen — and wow, did you respond! SOOOOOO many fantastic ideas, suggestions, opinions, etc. Dave and I actually went back to the “drawing board” and ultimately ended up changing our plans for this space, thanks in large part to some of your suggestions. 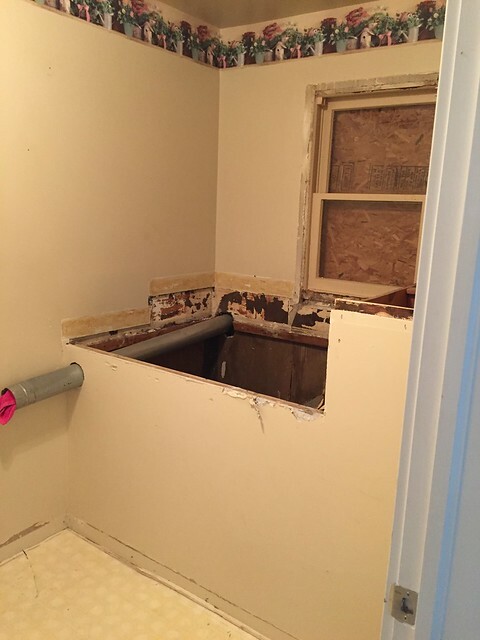 Our “new” project is now a 3-phase project, which will assure that we will never be without a laundry room or a 3rd toilet throughout the course of the project (yippee!). Of course, it will also take more time and cost more money, but I think everything will end up so much nicer for the long-term. PHASE 1: Move the current washer and dryer to the basement. Stay with me here friends — we are NOT putting our “main laundry room” in the basement. We are just moving our current washer and dryer downstairs as a place to do laundry throughout the renovation project. However, we ARE planning to leave that washer and dryer in the basement, even after the renovations are finished. 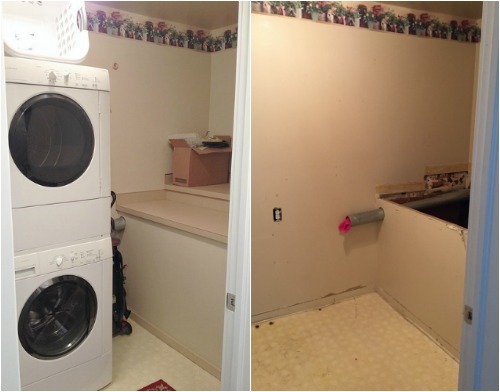 We figure we don’t want to renovate our current laundry room and put old appliances in the new space. But at the same time, our current appliances are working just fine — so we don’t want to throw them out, and the resale value on a 10 year old stackable washer and dryer isn’t great. So we figured we’d be best off just keeping the old set and putting it in the basement as a 2nd laundry area. Yes, I did just say a “second laundry area” — one of the perks of this 3-phase project is that I will actually end up with TWO washers and TWO dryers!!!!! As many of you know, our basement isn’t glamorous in any way — just cement floors and old cinderblock walls. However, we are working to set up a somewhat cute and clean laundry area down there right now. The plumber was here last week and got everything hooked up in the basement. 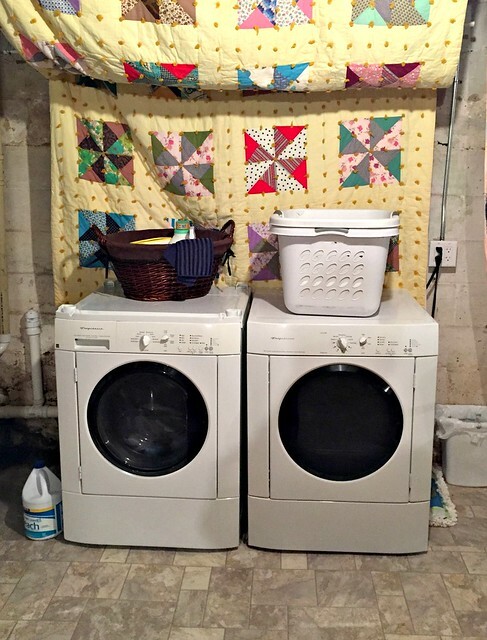 A basement laundry room definitely isn’t ideal for me, but I’m thrilled to have a functioning laundry area in our home throughout the remainder of the project, and I have lots of ideas to make this space look and feel nicer. PHASE 2: Turn the current laundry room into a HALF bath. With our current washer and dryer moved downstairs, our former laundry room is now a construction zone! It sure feels bigger without bulky appliances in it! 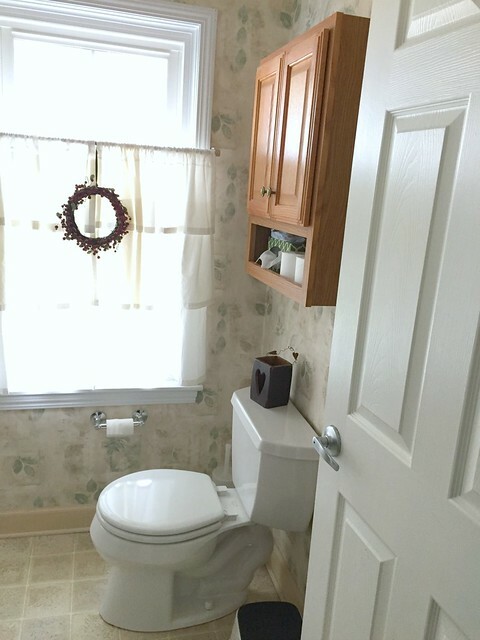 We’re planning to put the toilet against the wall that the door opens on, and then we’ll put the sink right inside the counter area. We plan to squeeze the pipes in above the stairs to the basement (the stairs are right below that awkward counter). We’ll put huge storage cabinets behind the sink — which might be slightly awkward since the mirror will be to the side of the sink, but it’s a good tradeoff since I’d otherwise be wasting a huge amount of valuable storage space! I’ll use this extra storage as a space to store towels and linens (we currently have no linen closet anywhere in our house). I’ll also probably have some overflow from the new laundry room as we won’t have much extra storage in that room (more on that situation below). I can’t wait to see how this room comes together over the next few weeks — and Dave can’t wait for a toilet that’s not RIGHT in front of a huge window! 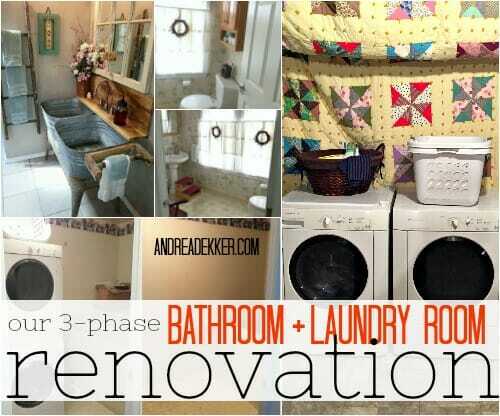 PHASE 3: Turn the current bathroom into a laundry room WITH A SHOWER. By doing this project in 3 phases, we’ll be able to keep our current bathroom fully intact until the new half bath is completely finished — which means we’ll never be without a toilet or sink by our back door (something we really wanted). So we won’t even start working on the current bathroom until the half bathroom is completely finished. Dave and I have gone back and forth over hundreds of different ideas, tweaks, adjustments, etc. to various different plans for this bathroom/laundry room project — and almost every layout would be better if we just nixed the shower and lived with 2 1/2 baths instead of 3 full baths. 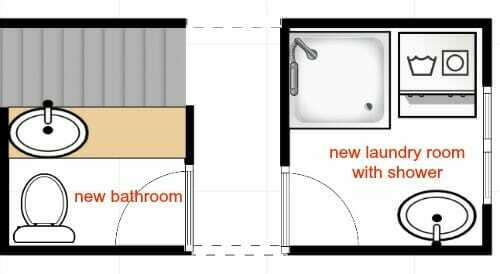 HOWEVER, Dave and I ultimately decided that we really DO want to keep our 3rd shower — even if that means sacrificing some storage and sticking with a stackable washer and dryer in our new laundry room. We just feel that in a few years, when we have 4 teenagers living in our house, it might be nice to have a “girls bathroom” and a “boys bathroom” so they could each have their designated showering area. I’m very happy with our decision and Nora is VERY excited to start using the new shower once it’s finally finished! 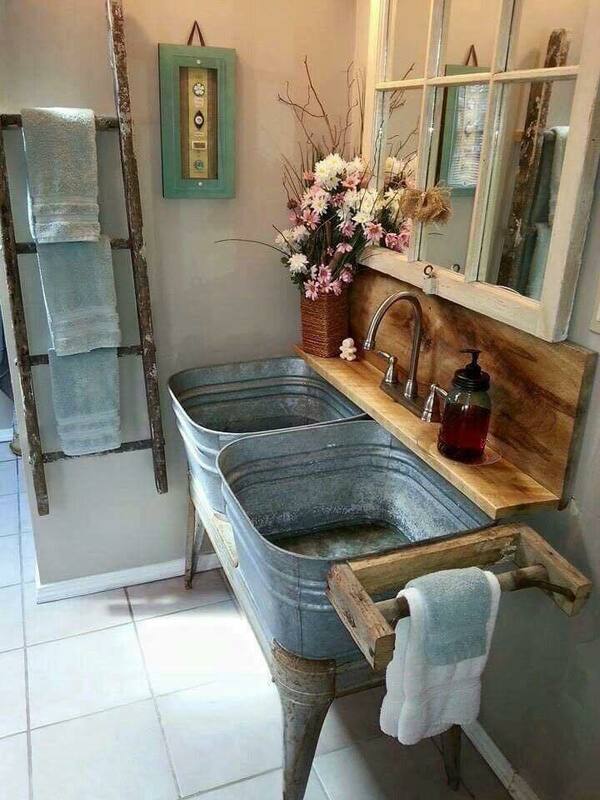 Then, where the current toilet is, I’m going to put a cute rustic-looking laundry tub sink. Maybe a single-basin version of the idea below… SO cute!! If you missed my previous post where I mentioned everything we wanted from these 2 spaces (and asked for your suggestions), you read read it here. And just so you can get a better feel for how these spaces work together, here’s a NOT-to-scale blueprint of the current and future layouts of our 2 rooms…. We’ve pretty much checked off all our must-haves, all our needs, and even most of our wants; so we are very happy with our current plan! we will end up with TWO sets of washers and dryers! I’ll actually have a sink in my laundry room — which will be great for soaking dirty clothing, hand washing, or even for potential future pets! Of course, with a 130-year old house, there will most certainly be things that don’t go according to plans. And with 4 young children along for the ride, there will most certainly be many restrictions on our time, which could potentially drag this project out over the entire summer. My current goal is to have all 3 phases completely, 100% wrapped up by the time Dave starts his school meetings in mid-August. I feel that allowing almost 10 weeks is very realistic… but again, it will all depend on how many obstacles we encounter as we start tearing the rooms apart! Either way, I’ll keep you posted as we finish each phase! Why We Didn't Build A True "Master Bath"
Wow! It looks like you checked off all of the things on your wish list for this renovation. I like the laundry tub sink idea! That will look so awesome in your farmhouse style home. hopefully the renovations keep moving along! Looks awesome. I wholeheartedly approve of your laundry/shower/sink combo. It won’t feel weird at all. We just spent a lot of $ on our full master bath renovation and I got rid of the massive soaking tub (not a bath person) and opted for a shower which left us room to add a stacked washer and dryer. We already had the W/D in the basement (2 flights of stairs down) and it felt frivolous to add another set, but we had the space for them and a baby on the way. 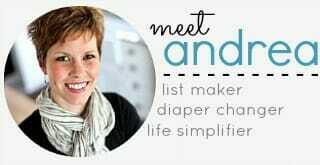 Now, 2 years later and with 2 under 2, it has been WONDERFUL–especially when we have lots of house guests and sheets/towels pile up quick! You can get a lot of laundry done and feel very efficient. Note on the W/D units: we first bought Samsung brand for the washer and dryer and stacked those (they were listed as ‘stackable’), but they were a nightmare and “walked” out of their space when they ran a load of clothes. We swapped them out for Maytag W/D (for the same price) and they work like a dream (are quiet and don’t budge)! I have no brand loyalty and am pleased with all the other Samsung appliances in our home, but thought I would share our situation in case this helps you out! Thanks Laura — I’m sort of dreading the process of shopping for a washer and dryer. That’s actually something I’ve never purchased before! Love it all! You guys are always so practical and have just great ideas! yes, I’ve already thought of this for the future — great idea!! How exciting! 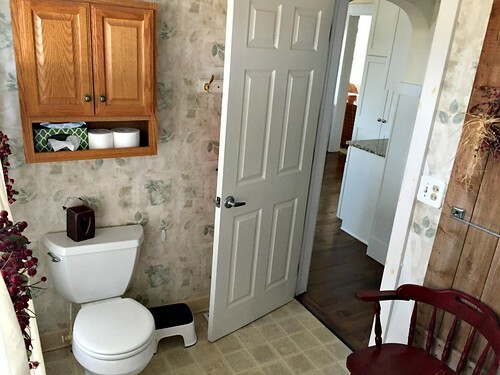 It looks, though, like the toilet doesn’t have much sitting room. Would it be best turned towards the door opening? I know you said you’ve hashed this out – perhaps you already considered the positioning. The drawing is not to scale — so we should have plenty of room. Also, the sink will be more in the middle of the bathroom cabinet. 🙂 Oh ok. I’m happy for you. just wanted to let you know that Dave now wants to flip the toilet around 🙂 So who knows what direction it will end up!! We thought about mirrored doors, but I’m not really a fan of those (not very “farmhouse” or “primitive” looking!) And thanks for the link to the sink — I love it! Something custom made along these lines is what I had in mind. I guess it depends on how wide the space is but the center cabinet could be wider than the sides to fit over the sink. Thanks for the link — that does look cool! 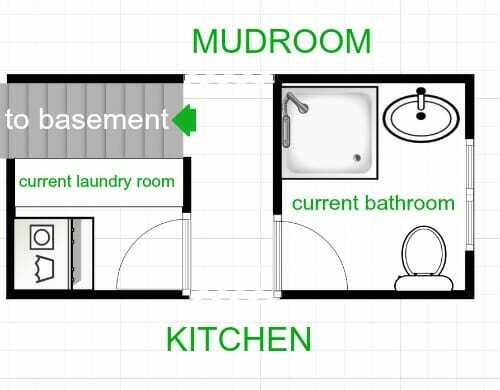 Perhaps you could center the sink (or do double sinks) under the upper cabinets and use the types of doors that look like windows (such as in the picture above the laundry tubs) and use mirrors instead of glass??? 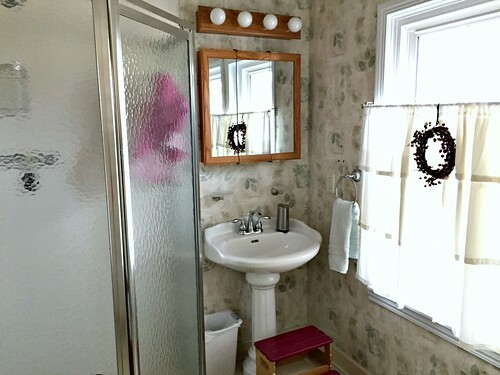 That would give you the farmhouse look you desire and the panes could be made big enough as to not get in the way if this mirror is used for grooming purposes. This idea came to me this morning while in my own bathroom and I noticed Allison’s comment…great minds think alike…and thought I’d comment. I can’t believe I was still thinking about this and it’s not even my home improvement project. 🙂 It may be because I am really wanting to re-do my laundry room. I lack storage space in there and what I currently have is an eyesore. Whatever you end up doing will look great I’m sure. Even though home improvements are a disruption and a mess, the end result is so worth it. 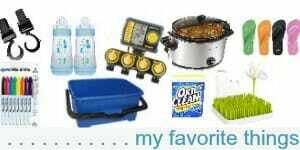 Love it and I’m sure you will love having the 2nd washer and dryer. Perfect to wash all the swim stuff in the summer, muddy wet uniforms and all that good stuff that comes with kids. YES, that’s what I was thinking too. Just bring the gross wet suits, jerseys, yard work clothes, running clothes, right down to the basement instead of into the house. I’ve even set up a big drying rack down there right now so the wet stuff doesn’t just sit in a pile waiting to be washed. So far, we love having that extra space! You’ve come up with a really good renovation solution, once again. I’ve been thinking about you and Dave a lot, because we just bought our first real house (first “house” was a mobile home) and we need to do some light renovation before we move in. 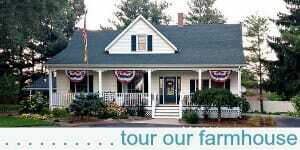 It is helpful to me to have followed your farmhouse remodeling journey over the course of years, as you did lots of planning and saving up and doing it in many phases instead of all at once. The house is mostly fine as is. But with some tweaks, it will work better for our family. The kitchen is mostly functional (but there’s no dishwasher! ), but we’re hoping to come up with a plan we can do in phases to make it much more functional with lots more counter space and cabinets and a pantry and maybe an island! For now, though, we’ll need to live with some lumps and awkwardness, looking forward to updates in the years to come. If Dave and Andrea can do it, so can we! Great plans! As your kids get bigger and busier, you will LOVE having a second laundry area! It is great when you are pressed for time and can actually be doing 4 loads of laundry at the same time! I had 2nd laundry in my basement for many years, and I could get 10-12 loads of laundry done in one day! Thanks Audrey — YOU are the reason we put our “old” washer and dryer in the basement. I remembered you telling me about this at church and thought it was such a great plan. So thanks!! I love it, I love it, I love it! What great ideas! I can’t wait to see it all done! I love how intentional and thoughtful you are in your projects (and in everything!) Very inspiring! You’ll be glad you kept the three showers when your kids are older. Two of our four kids are teens and two are younger, and the bathroom is a busy place (we have two bathrooms, and our laundry is in the kids’ bathroom.) I would suggest making sure you incorporate a mirror in the laundry room for “getting ready” in addition to showering. That piece of the morning routine seems to take as much bathroom time as the showering! 🙂 Another teen tip – a hanging rod or bar for drying clothing is handy…we always have some kind of sports jersey hanging to try, either over the bar or over the shower! Our stacked washer & dryer are right next to a window as well, and I really like having a more sunny, pleasant spot to switch the laundry! You’ll love all of it! How fun! yeah, we kind of figured we wouldn’t ever regret having an extra shower in our house! And yes, I hope I like the washer and dryer next to the window — it just makes the most sense in terms of where the plumbing will be and how the layout of the room will function. Finger’s crossed everything works out! I LOVE the new sink idea!! I hope this doesn’t come off as sounding negative, but have you thought about where you’ll fold & hang clothes and where they’ll sit while waiting to be washed? Just some food for thought. I’m looking forward to seeing the completed product! yes, I’ve never done any of those things in the laundry room before, and I don’t plan to do them IN the laundry room now either. We keep all the dirty laundry in 2 hampers (in the bathrooms on each floor) and we fold the laundry in the living room so I can spread it all out in different piles on the couch or floor (usually while watching Netflix or something). Dave does all the ironing — also in the living room — and we don’t really have any clothing that needs to be “hung to dry”. I shove everything in the dryer! !